﻿ Lana Del Rey Fan » » GiveAway: Win four sweaters of Lana Del Rey this Christmas! GiveAway: Win four sweaters of Lana Del Rey this Christmas! After the success of the first giveaway, Mr. Gugu & Miss Go and LanaDelReyFan.com are pleased to present you again with an exclusive contest to win four super fancy sweaters! 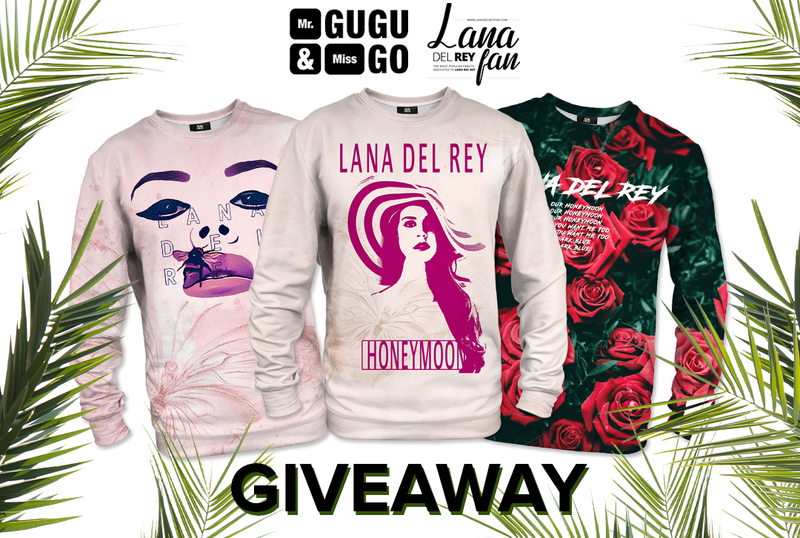 Four lucky fans of Lana Del Rey will be able to win one of three different sweaters exclusively designed by Mr. Gugu & Miss Go in partnership with LanaDelReyFan.com. Check the three sweaters from the collection here. Didn’t have the chance to enter the giveaway? Love the other Mr. Gugu & Miss Go designs? Grab your 30% discount code which you can use to buy any Mr. Gugu & Miss Go products! The giveaway ends December 10th, 2018 at 11:59pm (GMT). When time expires, we’ll check the four public winners, message them directly (using the Facebook option of “message” provided near the comment written by the user and ask for a contact to give to Mr. Gugu & Miss Go) and announce the lucky fans on social media. If you make the top 4, to assure you are notified as the winner, send a direct message to our page with your e-mail address. The management of this website LanaDelReyFan.com and Lana Del Rey Fans are not responsible for the delivery (delays, import charges such as duties, VAT & any other additional costs) and the shipping of the sweaters to each one of the four winners. Mr. Gugu & Miss Go will be the one in charge of the entire procedure including taking care of your data. In addition, we don’t take any responsibility in case of any loss or damage of shipment. When developing this contest, both parties agreed in respecting the “rules & terms” of Facebook. In this way, also note that the social network is not responsible or associated to this giveaway. Any doubts or questions please e-mail us. Would you like to become our Correspondent? LanaDelReyFan.com wants you! 06/11 Extra dates for Lana Del Rey’s European Tour!